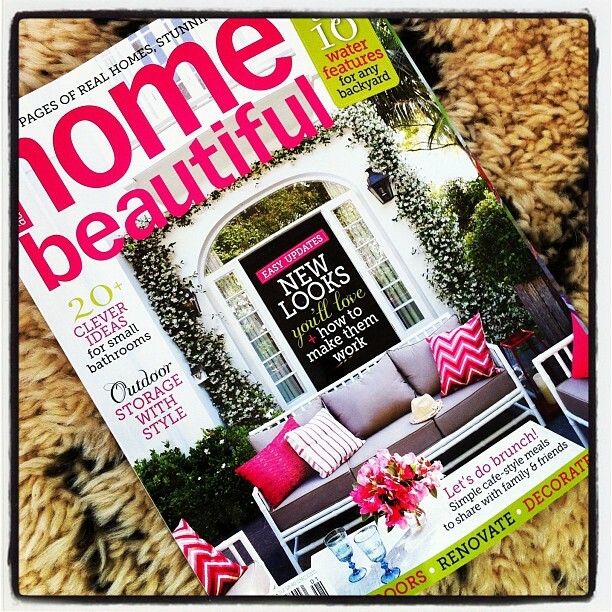 Reading: Home Beautiful, January 2012 issue. 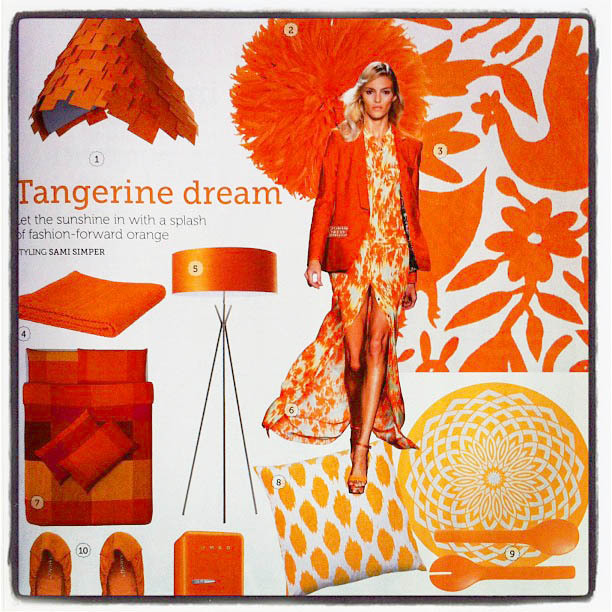 Loving: Not one, but three Table Tonic treasures on page 41 - An Orange Mexican Suzani, an Orange Baby Juju Hat and the Burnt Orange Ikat cushion! Big thanks to my unofficial press agent, Anecdotal Anna for the tip off! And of course thanks to Sami at HB mag. 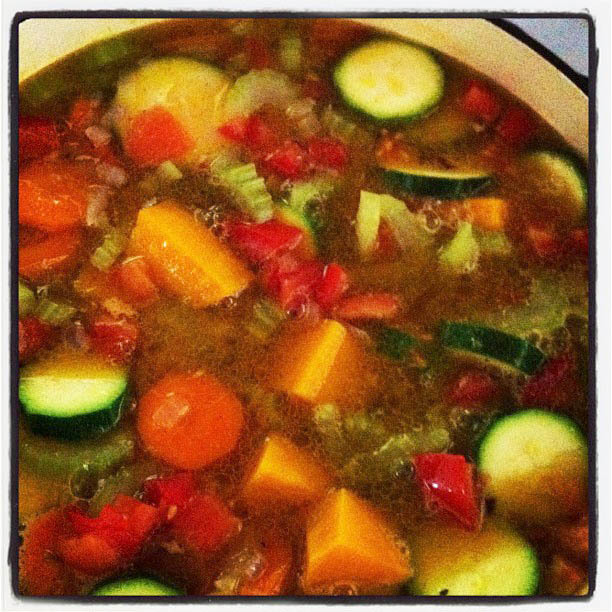 Eating: Minestrone. Because Sydney has yet to get the "Summer" memo. We are in a perpetual state of "Possible Showers and 22º. Ugh. 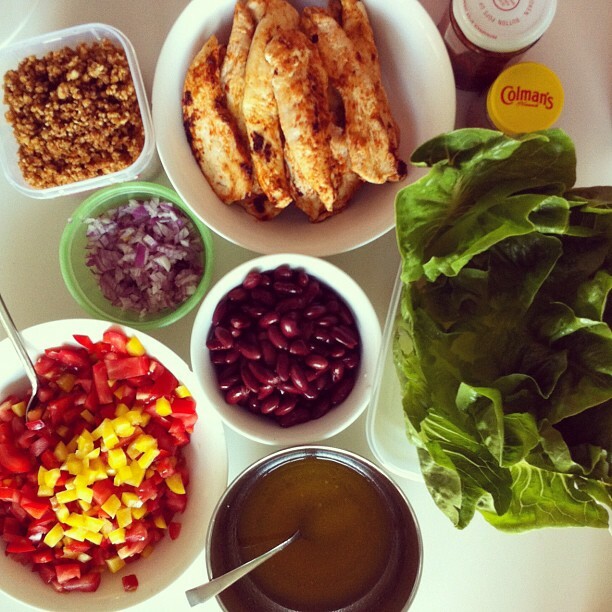 Eating: Last night we had "Deconstructed Chicken Tacos". Everybody wins that way, see! 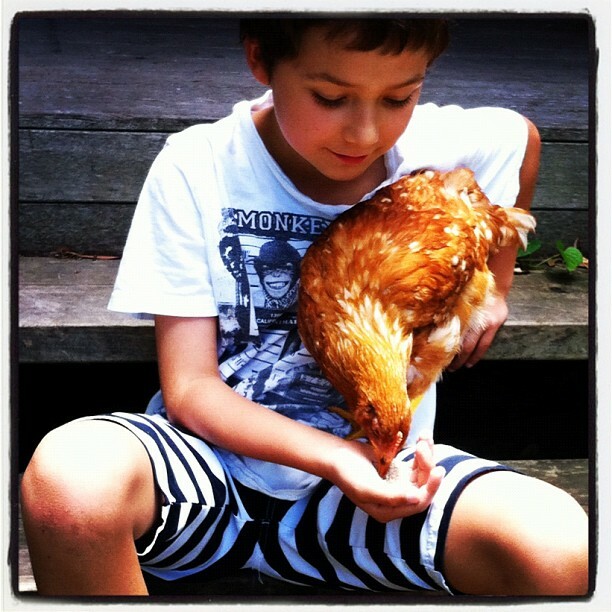 Adoring: If you've ever seen a child sharing a tender moment with a chicken, you'll agree it's a heart-melting moment to treasure. Jasper-Tonic had a day off school yesterday (teacher's strike), and we actually had a lovely day, including lunch with Mr Tonic at my favourite cafe ever. 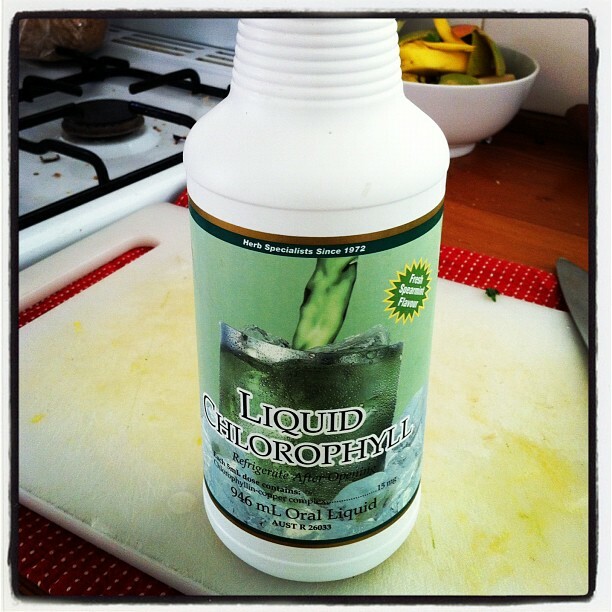 Drinking: Chlorophyll. A few squirts of this spearmint flavoured liquid chlorophyll goes into every single bottle of water I drink throughout the day. Delicious and nutritious Tonic-ettes! Get it from your health food store. 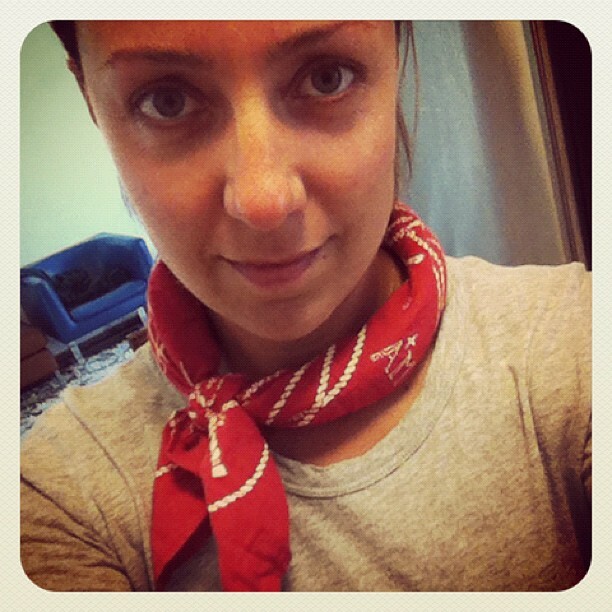 Wearing: A Scotch and Soda "Mountaineering Bandana" (click to buy). Love it so much I want the blue one too! 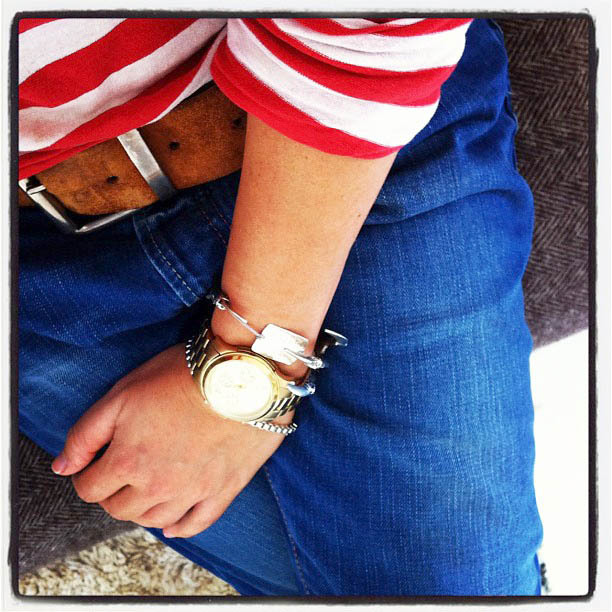 Wearing: Scotch and Soda "Ralston" men's jeans. That's me for now! 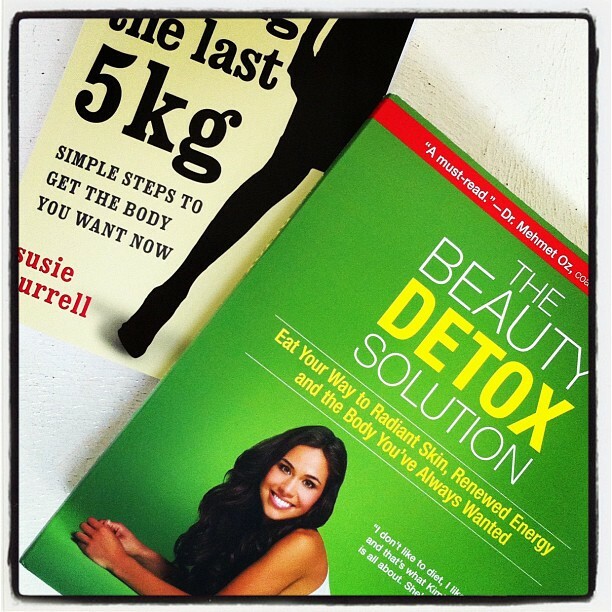 What are you reading/wearing/eating/reading/loving right now?